Some Sundays are a lot quieter than others. This one consisted of everyone sleeping in and me having a mini sermon with my Bible and a Kleenex box by my side. It’s my family’s turn to deal with the flu. 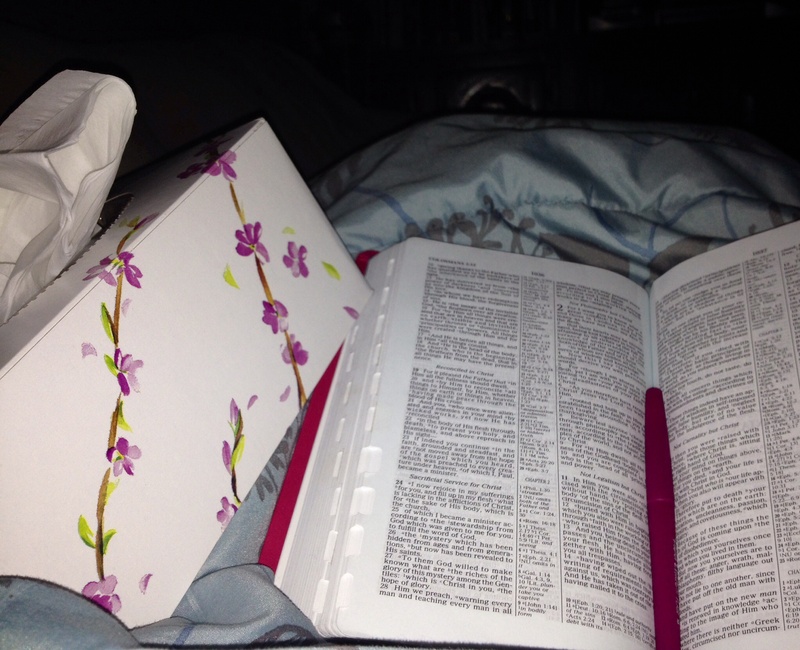 Thankful for chicken soup, soft Kleenex, Lysol spray, soft blankets, and my own copy of the Word of God that speaks loud and clear no matter where I am.